For a generation that wants to visually document everything around us, having a camera on the go is very much a reality, whether you’re a veteran, experienced photographer or a hobbyist travelling the world. But when you think about camera bags there is a general image that you get in your head – a black, clunky, boxy polyester bag that really doesn’t offer me much other than simply functionality unless you’re ready to shell out some major bucks. That too you’d find that most of them are definitely not easy on the eyes when we think of aesthetic appeal. Why the need to pick between visual design and functionality? 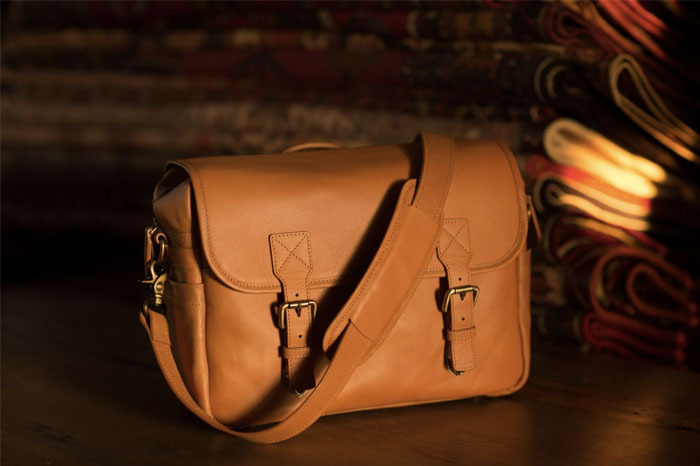 We came across Blackforest Design who gives importance to both of these things, specialising in handcrafted premium messenger camera bags that serve in both functionality and visual appeal. More than just a good-looking sling bag, its padded comfort provides protection to precious, and expensive, camera gear and allows you to be on the move without having to skimp on what you’re carrying with you. Their designs are minimalist and stay clear of the flash (no pun intended) that many ‘stylish’ camera bags tend to display without really serving a purpose. Blackforest bags come in canvas and leather, and what you really get what you pay for in terms of quality and craftsmanship. 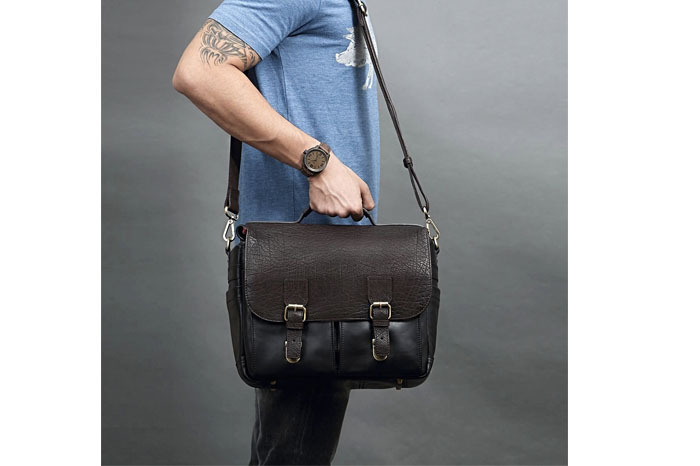 There are three varieties you can choose from depending on what you need – the K2 small messenger bag, the Vinson and the RIMO I, each beautifully put together and designed as the per the needs of buyers. The RIMO I and Vinson are similar in their built and yet differ in their design and material. Both have side and bottom closed cell foam padding that provide extra protection, have adjustable sturdy straps and front zipped pockets where you can store microSD card in slots and other accessories. There are side pockets for easy access to phones. There are differences in what all you can store in the Vinson and RIMO I, respectively, so that is something you’ll want to check before purchasing. The K2 messenger bag is similar to the other two in its features but is smaller in its dimensions; you can fit a DSLR/Mirrorless camera along with an attached lens as well as an additional small lens in the bag, and some accessories. The bags are also water resistant so you don’t have to worry about running for shelter at the first sign of rain. “Blackforest Designs is a passion project that started about two years ago that sought to make highly functional yet absolutely stunning and minimalist camera bags for photographers and travel enthusiasts,” says Rashi Chaudhary, the founder of the company behind the bags. A dentist by profession, it was during her maternity leave that she focused on her design talents. With guidance, support and encouragement from her photographer husband Paresh, she finally took a leap of faith and became an entrepreneur. Paresh, she says is a travel enthusiast, and watching him on his trips and photograph journeys she saw his need for a great camera bag that looked good, was easy to carry around but was also useful in its purpose. Together, they met up with friends and other photographers and put together all the requisite features that would ultimately find their way into the designs of Blackforest’s camera bags. Made in India – Surat to be exact – by Indian craftsmen and shipped everywhere in the world, Blackforest’s camera bags truly are a homegrown product. You can check out Blackforest on Facebook and order camera bags here.